March 2, 2019 by Emily Brees Leave a Comment - This post may contain affiliate links. 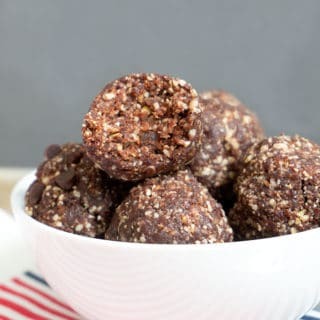 Cherry Chocolate Snack Balls are a blend of tart cherries, dates, nuts, cocoa and spices for a simple pick me up snack bite. 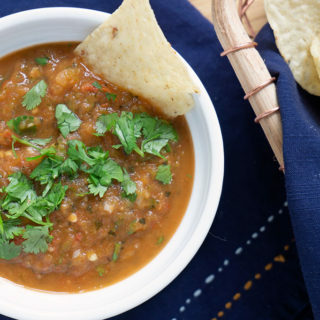 After vacation in Costa Rica, the holidays, and house guests, a snacking reboot is in order. It’s been driving me nuts to be surrounded by candy at work and I need something YUMMY enough to distract me from that and HEALTHY enough to feel good about it. Just a few small tweaks in my daily food intake and my pants are feeling much better! I’ve limited sweetened coffee until the weekends (boy do I get excited for Saturday morning!) and I use my favorite meal tracker – My Net Diary – to make sure I’m not going over my caloric intake for the day. A few years ago I lost 10 lbs just by monitoring where my extra calories were and have maintained that. 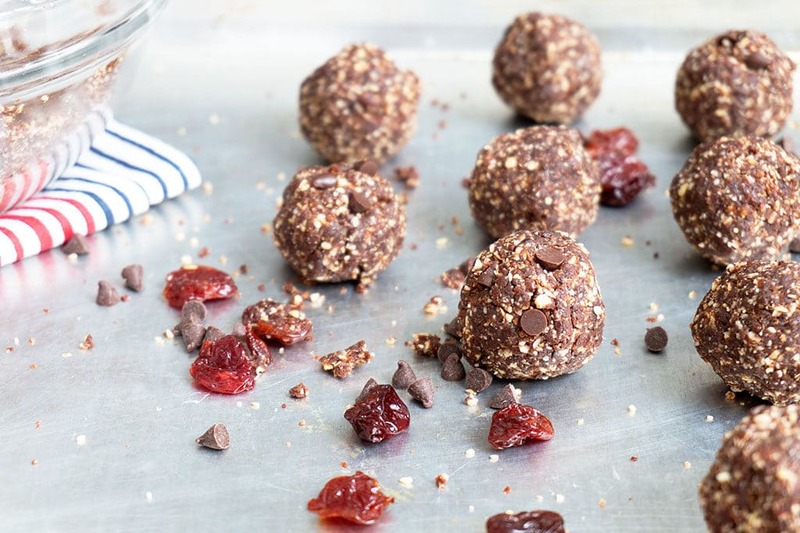 These Cherry Chocolate Snack Bites have been my trusty companion this week to get the job done. Simple Ingredients to satisfy your sweet tooth! 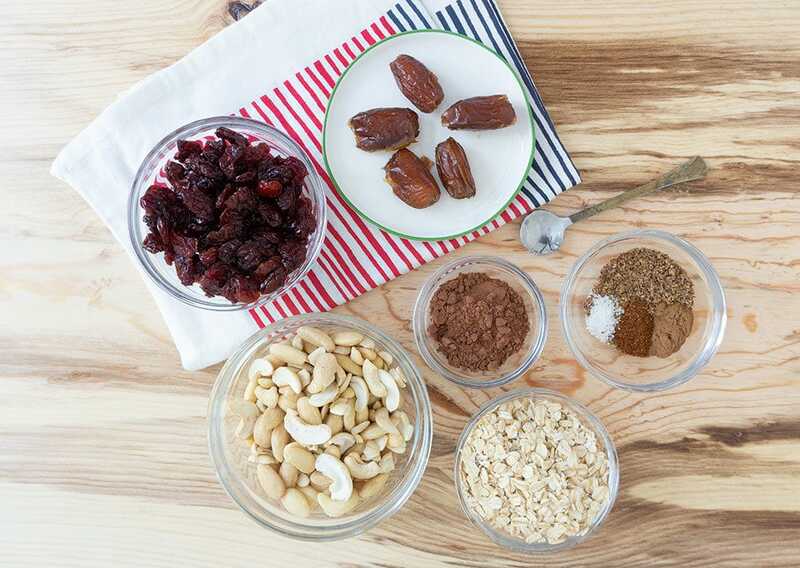 Simple Ingredients to satisfy your sweet tooth! 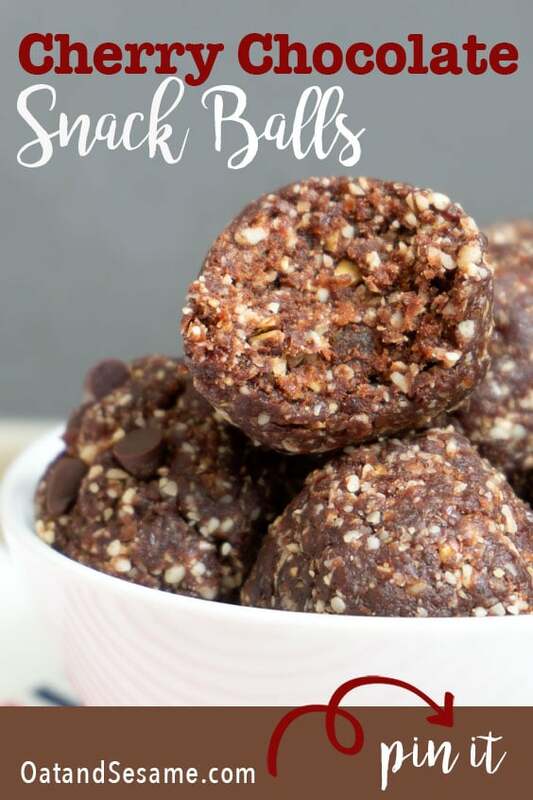 Have you ever made energy balls that end up really greasy? Wondering why they ended up that way? It’s a result of grinding the nuts too much. It is for this reason that it’s important to pulse the almonds and/or cashews by themselves first. Then add everything else in. 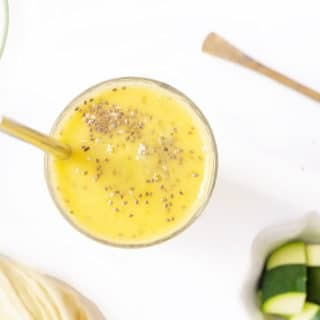 Add everything else to the blender. 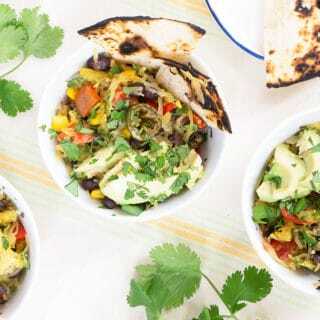 The chili powder is optional, but it gives a subtle kick, almost unnoticeable. I also use chili powder in this Chocolate Avocado Pudding recipe to give it a slightly spicy twist. Chili and chocolate really pair well together if balanced correctly. Pulse until the mixture is tacky and roll into balls. Mix in mini chocolate chips by hand if you want that extra sweet something. First add the nuts to the food processor. Pulse until they are a grainy texture. 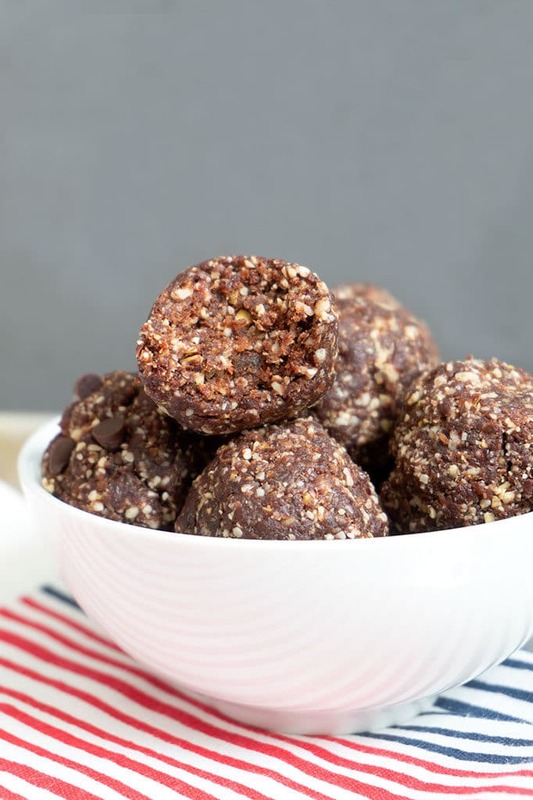 If you over process nuts, the oils start to come out and the end result will be an oily energy ball. Still yummy, but greasy. 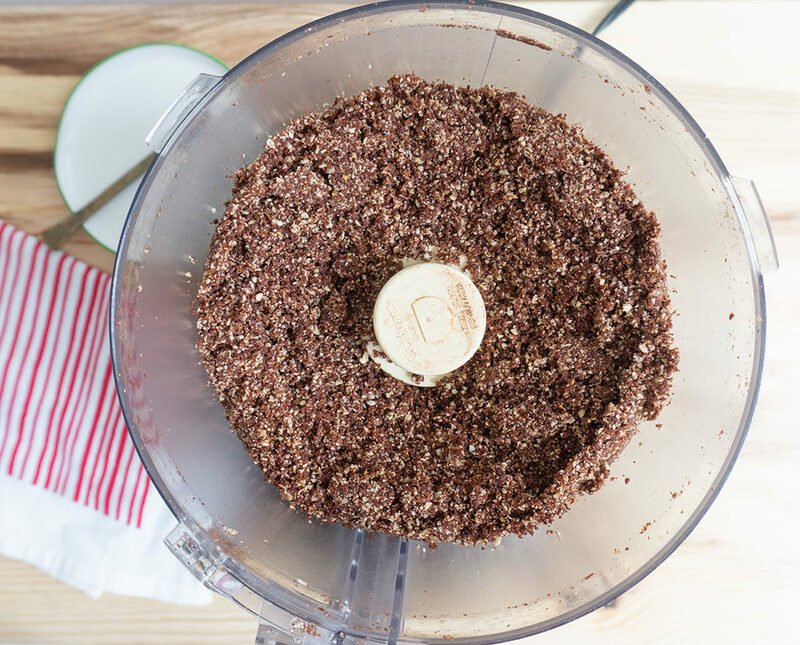 Add remaining ingredients to the food processor and pulse until the mixture begins to pull away from the sides about 2-3 minutes. You can test this by pinching a bit between your fingers and assessing if it will hold together. If not, continue to pulse. Mix in mini chocolate chips, if desired. Grab a palmful and roll into 1-inch balls. Give them a nice big squeeze to roll them together tight. 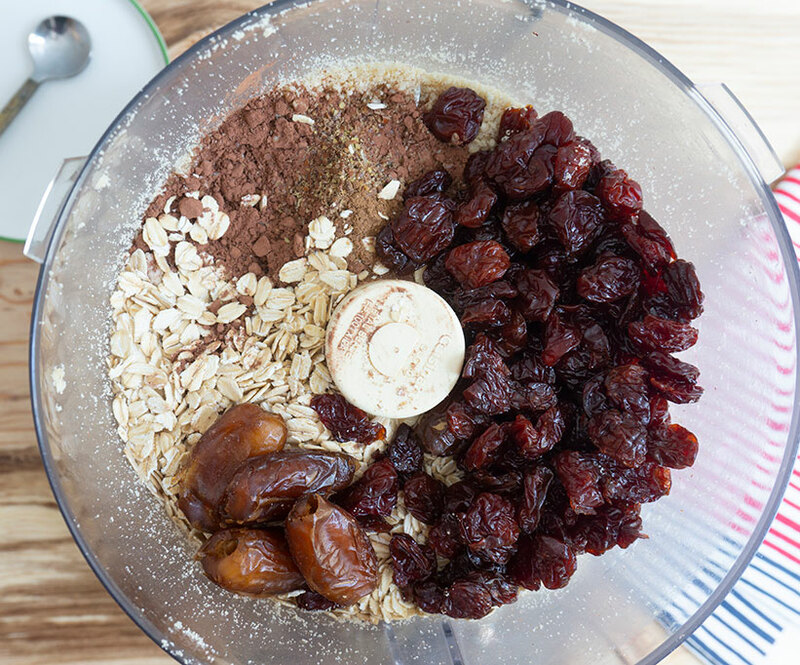 Depending on the moisture content/freshness of your dried cherries and dates, you may need to add a teaspoon of water to get make the mixture rollable. Transfer to an airtight container. Refrigerate until ready to serve. 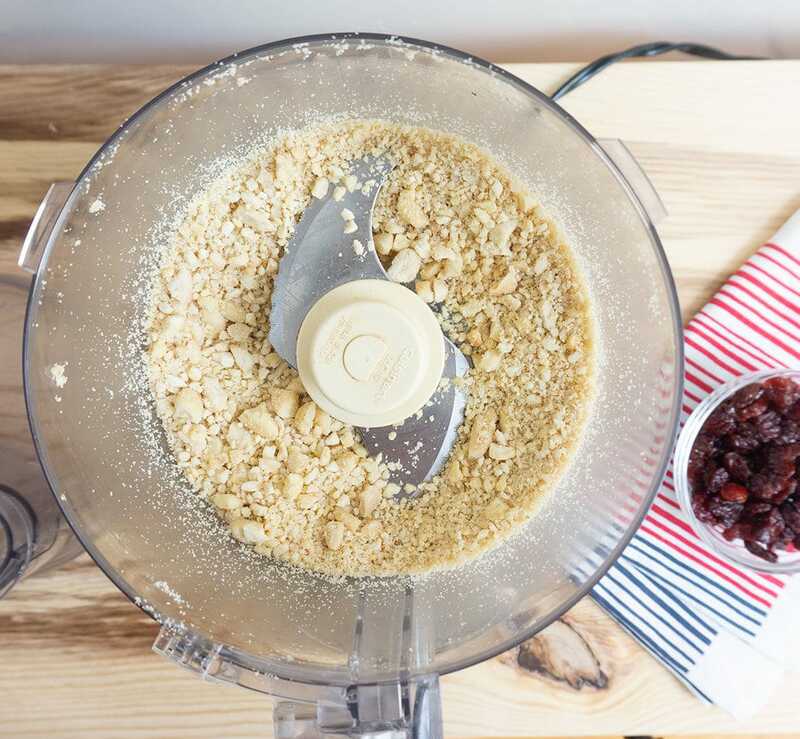 *Make sure your dried cherries and dates are fresh and not dry. To rehydrate them, you can place them in warm water for 15 minutes, strain and use.